Deciding which retirement plan one to pick can be tricky, particularly if your profits ebb and flow month to month or year to year. Freelance and self-employed workers may wonder if they can truly save as much as those who work for others, but tax-advantaged investment opportunities abound for the disciplined and resourceful, tax and financial experts say. Just about all self-employed retirement plan options are available with large investment banks like Fidelity, TD Ameritrade or Vanguard, which also offer low fees on funds and minimal initial investment requirements. Some are tax-deferred and some offer after-tax benefits. Deciding which retirement plan one to pick can be tricky, particularly if your profits ebb and flow month to month or year to year. Corey Purkat, founder and CEO of Northwoods Fiduciary Advisors in Oakdale, Minnesota, says business owners should ask themselves: How much administrative work do I want to do for a retirement plan? How much can I realistically save? Do I plan to add employees in the near future? Will my spouse be joining the business? The following plans can be established and you can pick a different one to contribute to annually as your needs change and business grows, Lambert says. SIMPLE individual retirement account. SIMPLE stands for Savings Incentive Match Plan for Employees and allows employees to make annual pre-tax contributions of up to $12,500 ($15,500 if over 50), not to exceed profit. However, if the business is more profitable this contribution limit can be “limiting for a business owner looking to save more,” Lambert says. Matching employee contributions are a deductible business expense, Purkat says, so if you’re the only employee you realize tax savings on both. A SIMPLE IRA must be in place for three months before the end of the calendar year, Purkat says, and is the only employer plan that can be in a place in a single calendar year (meaning you can’t contribute to a SIMPLE and a SEP IRA together). Only businesses with 100 employees or less can set this up. As an employer you can either contribute 2 percent of your employee’s compensation into the SIMPLE IRA or match the first 3 percent of their salary they contribute, Lambert says. SEP IRA. A SEP IRA is easy to set up and allows a self-employed person to contribute up to 25 percent of their pre-tax compensation up to $54,000. If you have employees, they have to receive the same percentage match as the owner, Purkat says. A SEP only allows employer contributions, not any additional employee contributions. Your contribution deadline is your tax filing deadline, which means you can “wait to see how much income you earned in a year and how much you can afford to save for retirement, without being locked-in to contributions during the year,” says Ben Westerman, senior vice president of HM Capital Management in Clayton, Missouri. A SEP also allows simultaneous contributions of up to $5,500 in a Roth or traditional IRA. The traditional IRA contribution can be made to the same account as the SEP to minimize administrative responsibility, Lambert says. Individual 401(k). Self-employed individuals have the most flexibility with a solo or individual 401(k) plan. They can make an $18,000 employee contribution under this arrangement ($24,000 if over 50), plus an additional 25 percent of your total profits or compensation up to $54,000. Employee deferral contributions can be made up of pre-tax and after-tax Roth funds. “If income is less than approximately $216,000 and you wish to save the maximum of $54,000, then an individual 401(k) is the best solution,” Westerman says. The plan participants must elect to make a contribution by Dec. 31 but actual contributions can be made up until your tax filing deadline. You can also use the individual 401(k) plan for your spouse if he or she works in the business. Any non-spouse employees would have to use another plan. Though this option is tempting if it’s only one or two participants, to satisfy IRS rules, Form 5500-SF must be filed annually if there’s more than $250,000 in assets, Purkat says. You have until Oct. 1 to establish an individual 401(k) and a SIMPLE IRA. Tax-free loan options are available and these plans typically receive better creditor protection, says Brandon LaValley, co-founder of Targeted Wealth Solutions in Colorado Springs, Colorado. Cash balance pension or defined benefit plan. Freelancers or independent workers that have strong cash flow and expect it to continue should consider adding a cash balance pension or a defined benefit plan, Purkat says. 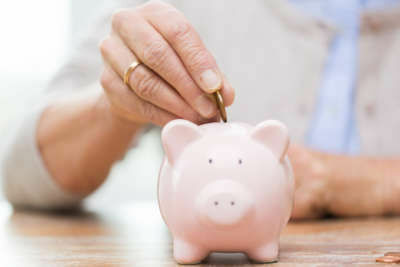 The closer in age to retirement, the larger the contributions that can be made for a given year — it’s actuarially pre-determined, based on your age, compensation and IRS regulations. They could use this in addition to an individual 401(k) that was maxed out and would not violate IRS rules, Purkat says. It’s a little more complex to set up, but it’s possible to contribute over $200,000 (And over $300,000 if 62 or older) combined with the 401(k) plan. The plan is defined to be kept in perpetuity. Filing a Form 5500 is required and you may potentially need to file with the Pension Benefit Guaranty Corp. Providers of these plans are not widely available, and Purkat recommends working with an experienced advisor to coordinate with the multiple professionals typically involved, such as a third-party administrator, actuary, retirement plan advisor, accountant and record keeper). When the owner is ready to retire, the cash balance plan can be converted to an IRA, LaValley says. Roth IRA. After-tax contributions to a Roth IRA are possible up to $5,500 annually (and $6,500 if over 50). Your income must be below $118,000 for single filers and $186,000 for joint filers, Solomon says.